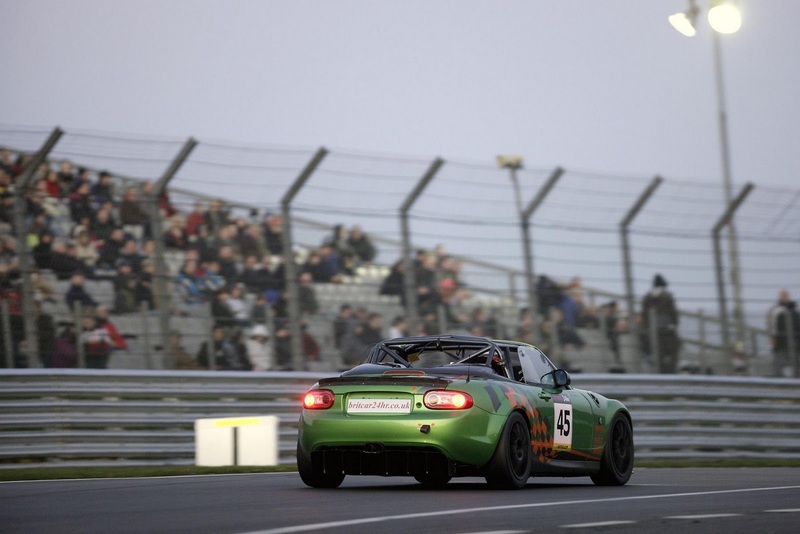 Mazda’s MX-5 GT car finished the Britcar Production GTN Championship season on a high this weekend at Brands Hatch with a race pace that placed it ahead of rivals Porsche, Ferrari, Lotus, Ginetta and Marcos. Finishing fifth overall and second in class from 21 competitors, the MX-5 GT car was only beaten in its class by a 400bhp BMW M3 and ran at a competitive GT4 pace around the Brands Hatch Indy circuit. Regular drivers Mark Ticehurst and Owen Mildenhall qualified in damp conditions with a mid 50 second lap which put them second in class on the grid, during the two hour race they completed 129 laps, averaging 77.82mph. Slick pit work is essential to all endurance racing. The MX-5 GT car at Brands Hatch was the new 2012 development version, complete with a new lightweight chassis and gearbox, lower roll cage, new front splitter and rear diffuser for improved aerodynamics. The weight has been reduced by 50kg over the previous car and lowered by 20mm to give it better aerodynamic performance, better grip and more stability through the corners, which combined with the car’s legendary handling, fuel economy and light tyre usage, makes this an ideal endurance car. Mazda finishes the race season with the lightweight Mazda MX-5 GT car ranking fourth overall in the championship and second in class, while the Mazda MX-5 production race car is fourth in class and seventh overall. 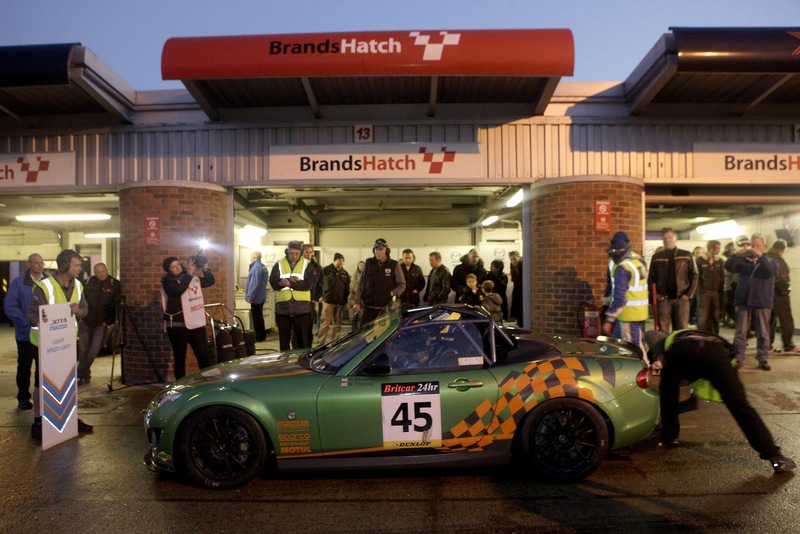 The Mazda MX-5 production race car - driven by Mike Wilds, Former F1 Driver and Major James Cameron of the 2nd Royal Tank Regiment who raced with Mazda at the Britcar 24hr Race in October - finished second in class at Brands Hatch this weekend. 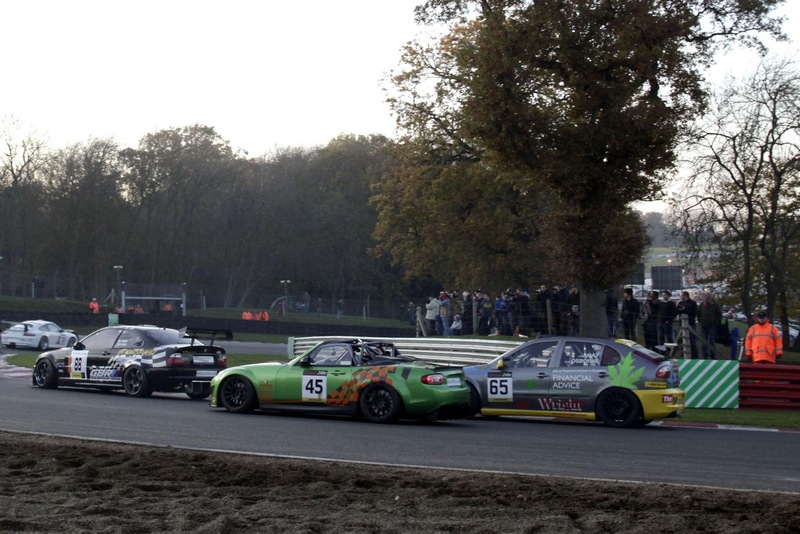 Britcar Production always has varied grids - the MX5 fits right in! 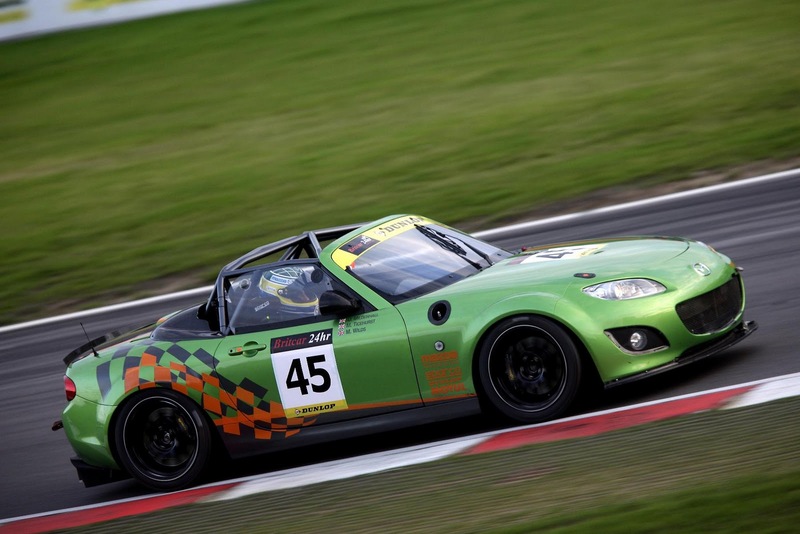 “Throughout this year’s race season the MX-5 GT car has been subject to ongoing developments which has made the MX-5 GT an ideal GT4 endurance car which is competitive against Porsche, Lotus, Ginetta and Marcos. In just a year we have achieved fourth overall in the championship, three podiums and second in class overall. This is testament to professional motorsport company, Jota Sport - who designed and developed the MX-5 GT car - and the MX-5’s agility, reliability and handling,” comments Graeme Fudge, PR Director, Mazda UK. Daniel Lloyd is a Scholar!